Re-engaging the community while enhancing public space. Look around any Rust Belt city and you can see the effects of urban decay. There’s aging infrastructure, blighted buildings and abandoned homes. Even as cities begin to see a resurgence, it can be hard to shake the physical legacy of decades of decline. But if you think post-industrial decay is hard to overcome, try something even more traumatic, like a dictatorship or, say, World War II. Some European cities have found a way to revive public spaces and re-engage the community in civic life, all while remediating the physical toll left by history. Nantes, France was once known as the “Venice of the West” for its many canals and beautiful architecture. In the 1920s, as part of an urban renewal plan gone awry, those canals were filled in. During World War II, the city was bombed repeatedly. One of the world’s largest shipyards, and Nantes’ largest employer, was shuttered. Then, in the late 1980s, the socialist mayor and a local artist teamed up to bring life back to the city through public art events. As The Guardian reported, they had two rules: events had to be free and they had to take place outside or in a public space. The pair launched an art festival and converted an abandoned factory into a cultural center. They initially struggled to convince residents that art was a valuable use of tax dollars, but now, the city is dependent on the tourism income. A summer street festival, launched in 2011, costs just over $3 million to put on each year, but the Guardian cites economic returns of more than $54 million. In Lisbon, Portugal, public parks and street corners used to be decorated with quiosques de refrescos, or refreshment kiosks. They were vibrant community spaces selling drinks, snacks, cigarettes and newspapers as well as offering a place to gather. Each one was an individual work of art, designed in the style of the neighborhood. As NPR reported, the kiosks were shut down or fell into disrepair during the 36-year dictatorship of Prime Minister Antonio de Oliveira Salazar. His authoritarian regime was marked by widespread censorship and laws that discouraged public interaction. Even after the fall of the Salazar government, the kiosks lay dormant. Portugal joined the European Union and seemed determined to westernize with fast food restaurants and chain stores. Recently, a journalist and an architect approached the Lisbon city government with the idea to bring the kiosks back to life. They proposed renovating them in the original style and having them serve the traditional drinks and snacks. City Council has launched “The Kiosk Strategy,” which will get the community involved in recreating the original architecture, decor and styles of the traditional kiosks. City Councilor Jose Sa Fernandes told NPR that this is about more than just public art. It’s about improving the city, located in Western Europe’s poorest country, and bringing people back out into the open. You can certainly find public art in Pennsylvania cities. 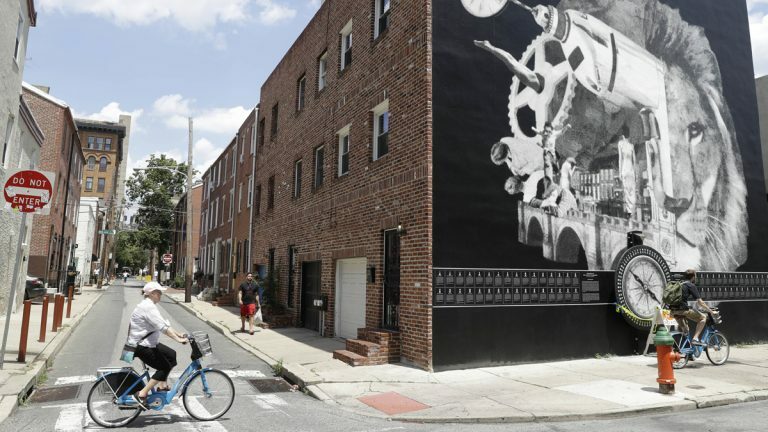 Philadelphia was the first city in the country to introduce a “Percent for Art” program, where developers are required to invest a percentage of building costs into creating public art. 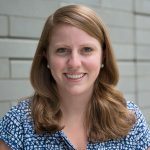 And in many cases, it’s used as an opportunity to engage the community, like Philadelphia’s Mural Arts program or Oil City’s Artist Relocation Project. But large-scale community development through public art is a step not many communities have invested in. European cities that capitalize on art often have governments, typically of the socialist persuasion, willing to devote significant local funding to the project. That might not be something Pennsylvania cities have a lot of right now. But they do have the other ingredients: inexpensive housing, unused industrial space, and convenient access to larger cities and art scenes. In encouraging art and community engagement, Pennsylvania cities may find an added bonus: the opportunity to heal the physical scars left by rapid industrial growth — and even faster decline.